Cody Hanak's Equine services is now happy to announce the purchase of a lovely blue Equissage. 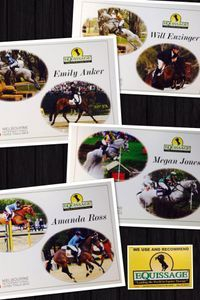 We Have recently under gone our certificate in Equissage Horse therapy, So are certified Equissage therapist. Please contact if your wanting more information or advice on Equissage treatments, we're always happy to help and tailor treatments to your needs. Below I have attached some additional information about Equissage please feel free to have a look through. just to name a few there are many more satisfied customers and users. The Cycloid Vibration Therapy (CVT) is characterised by a unique 3-dimentional vibration generated by a patented electromechanical oscillator. There is an obvious difference you can feel when compared to ordinary vibrating massage unit. These conventional units produce an aggressive “slapping” or “pounding” vibration. 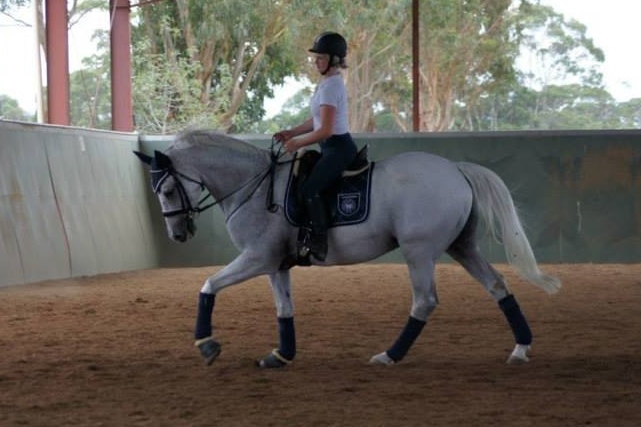 Equissage has a special suspensory system that generates therapy in a circular motion in every direction. 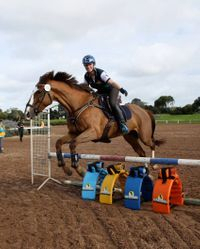 This type of suspension causes the energy of the Equissage to penetrate deeply, but gently throughout your horse’s entire body, for optimal results. Increased Circulation and Localised Blood Flow, which is essential for a fast, effective recovery and rehabilitation. 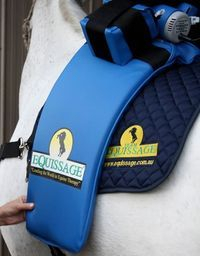 Equissage Back Pad will help to stimulate blood through 4 foot of bone and 2 foot of tissue to provide a full body treatment. The Equissage Hand Unit will improve local blood flow, stimulating fresh, nutrient and oxygen-rich blood to areas you need it most, providing a healing environment to treat problem areas and speed up the recovery process. Improved lymphatic drainage, which helps to flush out the toxins and remove waste in your horses body, including lactic acid build up in the muscles and inflammation in the joints. The Equissage Hand Unit in conjunction with the Back Pad will help to break down scar tissue and reduce calcification. Relaxation of the muscles, which naturally helps to relieve pain, unlock tension, ease bruised tissue and relax muscle spasm. Improved joint mobility, as a result of a speedier more effective recovery.